There’re many weird Vietnamese foods & drinks that some of you will not even think of. They may be not so strange to Easterners, but are likely bizarre to Westerners. In this article, I want to introduce to you the strangest foods and drinks in Vietnam. Before we move on, I need to give a brief notice. In below part I collect several foods that might sound annoying, stunning, or even frightening to you. I write them down here absolutely not to alienate my visitors. Rather, it’s just for the sake of sharing information. Like them or not, Vietnamese consume those foods and drinks for long time. In case you don’t like or are not ready, please stop reading at this point and move to another article, say Fun Facts about Vietnam or Vietnamese street foods. It can be translated into English: fatal duck egg, half-hatched duck egg. The dish is made with nearly-hatched duck eggs, which are boiled, and served with fresh herbs (Rau Răm or Vietnamese Coriander), ginger, salt mixed with pepper and lime juice. This meat is another bizarre food to many foreigners. 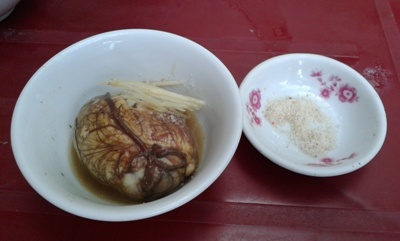 Yet, it’s one of favorite dishes for drinkers in Vietnam. Imagine a snake is still live! The cook forces the snake spit its venom into a glass and mixes with local wine. The live reptile then is gutted in front of you. Its blood is drained into a glass and then mixed with rice vodka. 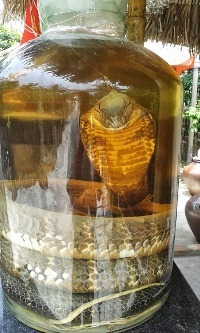 The snake bile is put into another rice vodka bottle. So you’ll have three types of wine container venom (yellow color), blood (reddish), and bile (green). These all are said to help strengthen virility, tone, and digestion. Some bold men can even eat the still beating heart of the copra by just … swallowing it. To start the meal, drinkers enjoy these liquors while waiting for the restaurant to serve snake meat. The snake meat, skin, and bones then can be cooked in many ways: fried, curries, etc. All are delicious and tasty. 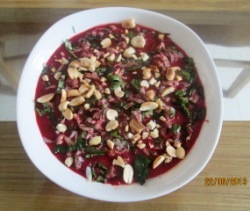 Fresh blood pours in to small bowls, mixed with chopped cartilage and cutting herbs, and after a while, gently congeals. The food readily serves after being scattered on top with chopped peanuts. Almost Vietnamese, especially drinkers, love this favorite protein-rich dish in breakfasts and in drinking parties. Foreigners dare not to eat because they think that’s a terrible and unhygienic food. Those meats are just similar to beef, pork, or chicken and used as normal foods. I heard of story that foreigners get disgusting or offensive about these weird Vietnamese foods. “If you ever see a dog in Mui Ne that is more than 1 year old, you can consider yourself lucky. Puppies can be seen everywhere, but grown up dogs are very rare and that’s because… Vietnamese simply eat them. I really wish to know what you think about those above weird Vietnamese foods and drinks. Have you tasted any of those? Are they challenging to eat or drink? Please share your thoughts and comments here, so that other visitors and I also learn your experience. Also, if you find useful information in this article, would you mind click the Like button to encourage me? I’d love your thumb up!